When it comes to skincare, I'm all for the "less is more" mentality. It took me many years to find the perfect balance of products to use on my face but I've learnt to listen to what my skin really needs rather than what everyone else is telling me my skin needs. I currently have oily combination skin. Towards my period and ovulation, it definitely leans towards oily and causes some breakouts on my face. Pimples and clogged pores have been an issue for me ever since I hit puberty but I'm glad that my hormones have stabilised over the years. My first dive at skincare was influenced by Korean beauty. I saw so many ads about products claiming to be able to control sebum and unclog pores and I was just drawn towards these words. Which oily skin girl can't relate? However, Korean skincare consists of so many steps and I was kind of doubtful that my skin really needed all those products. I'm pretty sure you've heard of the 10-step Korean skincare routine but a typical skincare line consists of Cleanser > Exfoliator > Toner > (Mask) > Gel > Emulsion > Cream/Moisturiser. Honestly, the most I've ever piled on my face is up to the Emulsion step because my skin never fails to feel oily and sticky by then. Living in a hot and humid climate, my skin hardly feels dried out and definitely doesn't crack and peel as compared to when I'm on vacation in a colder and dryer climate. But I was young then, and I didn't know that my skin didn't need all that moisture. 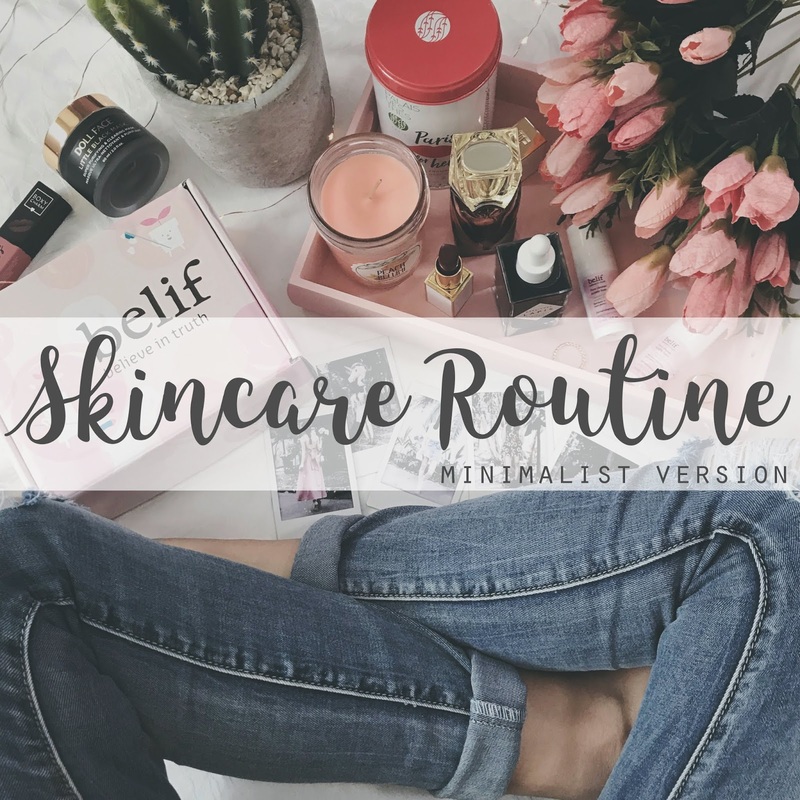 I mean, there are so many blogs and reviews out there that follow the routine and it works out for them, so I'm left wondering why the entire routine makes my skin oil up faster and break out more. Of course, it could be that the products just aren't working for my skin. There could be bad ingredients that clog pores and cause breakouts and I have definitely gone through that. However, the amount of products you put on your face also matter because as much as oily skin needs moisture, over-moisturising is not the solution. I have since cut down my skincare routine to Cleanser > Exfoliator (twice a week) > Mask > Light Moisturiser and that is mainly for the night time. In the mornings, I simply wash and cleanse. Turns out that is what works best for me because my skin feels a lot lighter in the day and I don't get as much breakouts on my face. At night, I moisturise lightly and let my skin recover from the day's stresses. For a colder and dryer climate, I might add a moisturiser in the morning and use BB creams instead of foundations to provide more moisture for my skin. Cleansing is the most vital step in my opinion. Removing dirt and impurities from your face keeps your skin clean and reduces the chances of pores getting clogged. 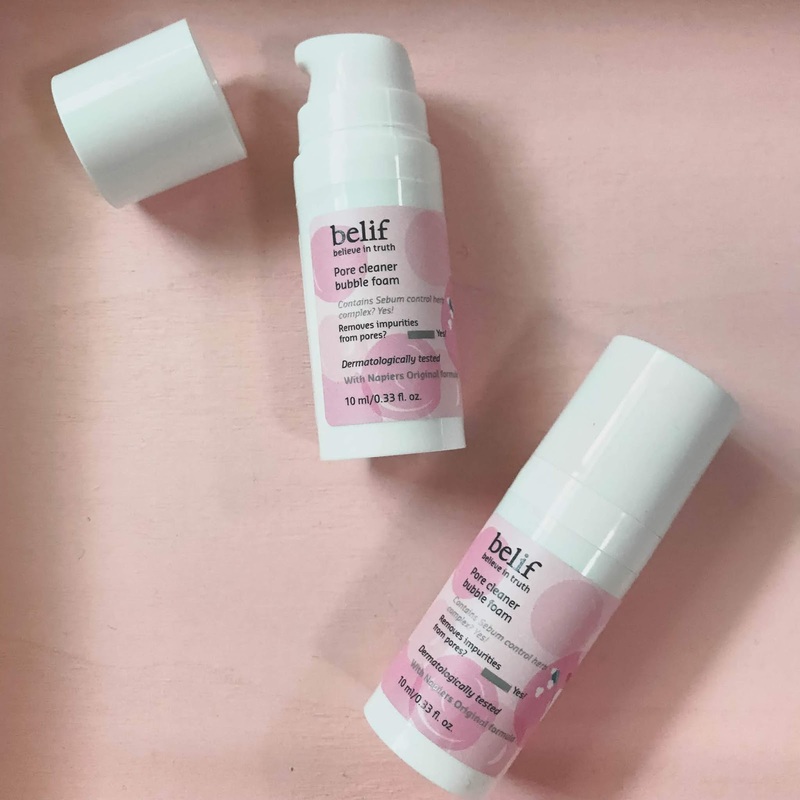 The belif pore cleanser bubble foam is a gel-to-foam mask and cleanser with sebum control herb complex. There are no directions on how often you should be using this but some of my favorite daily cleansers include *Etude House Wonder Pore Deep Foaming Cleanser, *Etude House Baking Powder Deep Cleansing Foam, *Baking Powder BB Deep Cleansing Foam. I have a few masks that I put on rotation to do every day of the week such that I use each mask about 1-2 times a week. Sheet masks are reserved for when my skin feels extra dry. If you have oily skin with clogged pores/whiteheads/blackheads that annoy the crap out of you, you NEED to pick up a *3-step peel off mask. It is important that you get the 3-step kits because the first step (sebum softening) makes a whole world of difference in how effective the mask pulls off your blackheads. I have tried the mask without using the sebum softener and it just doesn't work as well. As long as you have the sebum softener, you can use nose strips or other peel off masks that are targeted towards removing blackheads. I honestly can't live without this mask in my life because my face feels so smooth each time and it is so satisfying to see the blackheads come out. In between, I use a charcoal mask. 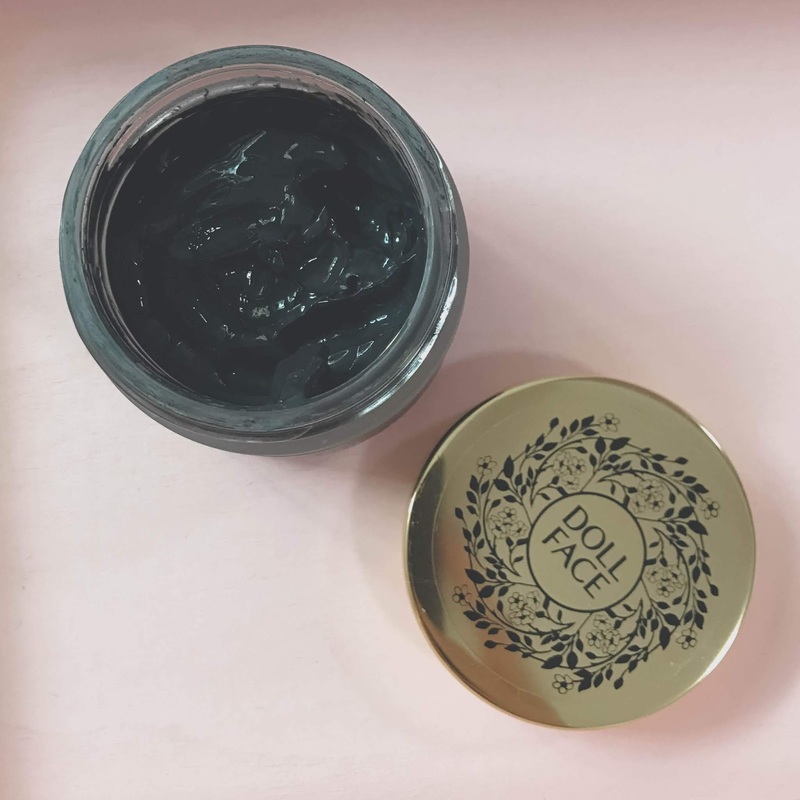 At the moment, I am using the Doll Face Little Black Mask and this helps to tone my skin, control oil and clear impurities from my pores. After doing a mask, my skin usually feels a little tight and dry (unless it's a sheet mask). As such, moisturising is a must. However, the intensity of my moisturiser depends on how dry my skin feels. If it isn't feeling too dry, I go for the *Innisfree No Sebum Lotion or *Aritaum Pore Master Sebum Control Matte Gel. These are light moisturisers that aid in sebum control so you can use them in the day time as well. Another moisturiser that I like for oily skin is the Olehenriksen Counter Balance Oil Control Hydrator. I bring this along when I travel to colder climates. 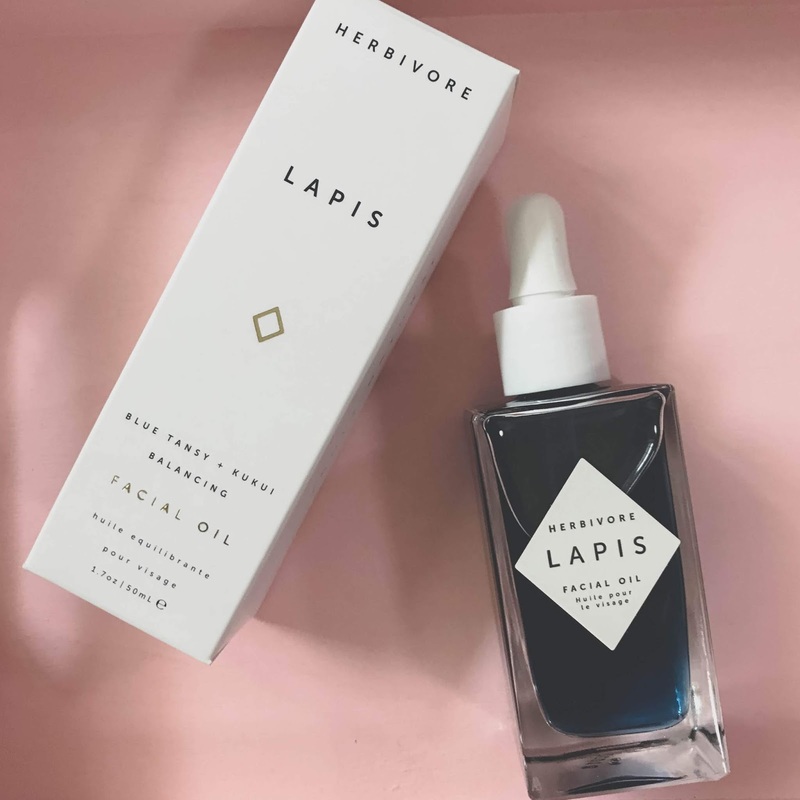 If you are into facial oils and want something truly moisturising, try out the Herbivore Lapis Facial Oil. I have been using 2 drops every night as a moisturiser and I really like it. It is rich in Azulene oil which as anti-fungal and anti-bacterial properties to prevent acne. Take note that the directions do say to use 4-10 drops, but please use only what you need. Your skin will only absorb what it needs and anything else will just be sitting on top like an oily mess. It doesn't feel good and it most certainly won't help if you are wearing makeup over it. Honestly, I can't see anyone using more than 5 drops. Since it is super moisturising, I only use the facial oil at night and this helps to keep my skin hydrated throughout the night. My skin doesn't feel oily at all when I wake up so I am quite pleased by how this performs. Lastly, beauty comes from the inside out so what you eat shows on your skin as well. Teas have detoxifying properties and can cleanse your body from toxins and oxidants. White and green teas are rich in anti-oxidants. I drink a cup every morning and I find that this has also helped to clear my complexion a lot and keep my skin youthful. Some of my favorite teas include Kusmi Tea Le Thé Blanc Alain Ducasse, Kusmi Tea Blue Detox and Palais Des Thés Paris For Her. Honestly, tea is like the greatest secret to clear skin but hey, what works for me may not work for you so it's all about modifying steps or products to suit your skin's needs.